Is It Possible These Two Lives Might Look Entirely Different? Have you ever laid out an opportunity with the possibility of great rewards for someone you loved — or perhaps more than one someone? As you watched them struggle, you quietly prayed for them, hoping beyond hope for their success. Without interfering, you closed your eyes, tensing, using every fiber in your being in an attempt to will them onward and upward. And then, after hanging in there for a while and accomplishing a certain amount, these people you loved — perhaps even your own child — just stopped trying. They didn’t actually quit. They just hit a certain mark, maintained their position, and happily accepted whatever rewards were available for that level of effort. If you have been in this position — or if you can imagine it — you know how much it can hurt. For a parent, it is anguish to know a child could have had more, could have become more, could have gone farther and higher if he or she had only looked up. Had only kept going. Had only believed what you said was possible! Tragically, you realize that you wanted that greater outcome — THE BEST — for your child more than your child actually wanted it for him- or herself. You knew your child’s capabilities. You knew what it would take to reach the prize. You knew there was a joyous end to the struggle. But he or she didn’t believe it. And now, every time you look at him or her, you think of what could have been. Knowing that God is our Father in the purest sense of the word, we surely know He loves His children at least as much as we do ours. I wonder how He feels watching us. Does He sometimes shake His head in despair? Does He think us weak or dense because we refuse to see purpose in the struggles we are allowed to face? When we refuse to even try? Greatness is never a product of frailty. Physical and emotional and spiritual muscle is only developed through struggle, and with that muscle comes increased ability and newfound strength. Capacity, competence, and wisdom grow as they are exercised against the resistance of things considered impossible for now. The muscles developed during difficult times are what will eventually turn impossibilities into achievable opportunities for the future. The inevitable conclusion… the only reasonable reality… the foundational truth… the bottom of the pool is this: You and I should spend less time setting goals to satisfy the expectations of other people and use more time to concentrate fully upon legitimately increasing the level of what we really and truly believe is possible. 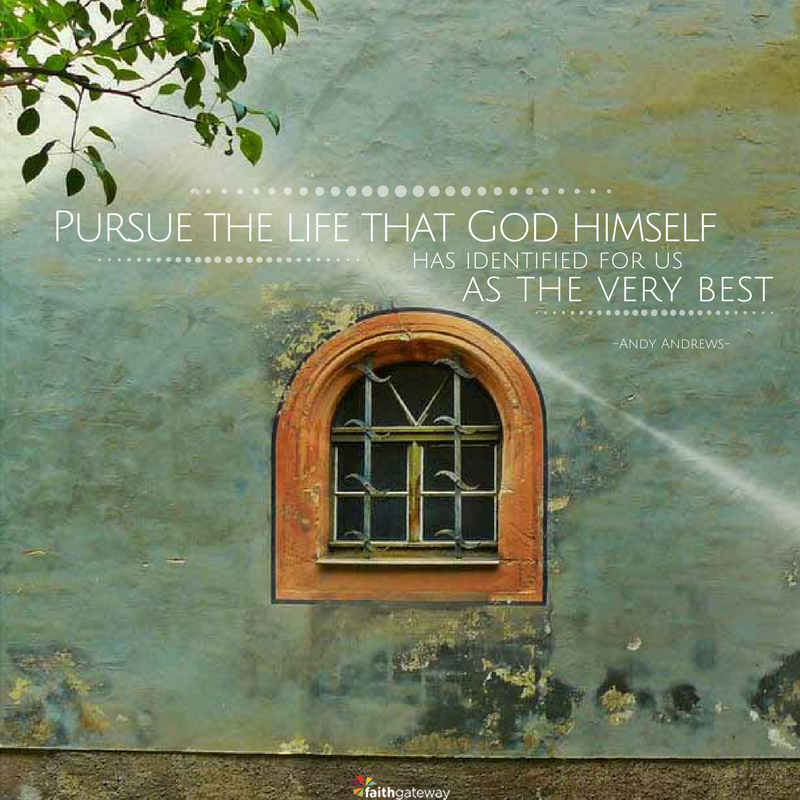 This can only be done — it will only ever be done — by aligning ourselves on a course to pursue the life that God Himself has identified for us as the very best. I’m curious. Aren’t you? What might He have in mind? Excerpted with permission from The Little Things by Andy Andrews, copyright Andy Andrews.